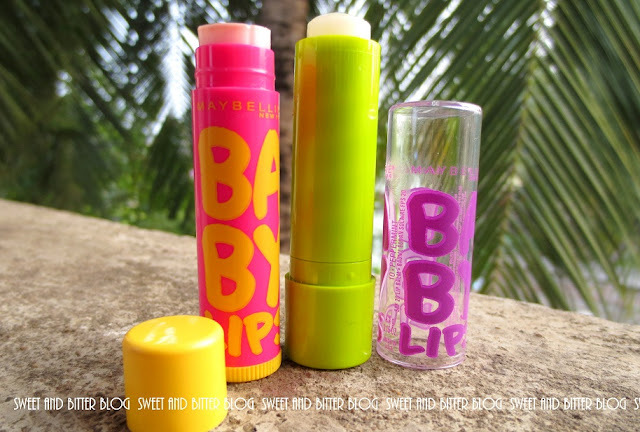 The first time I saw Baby Lips, I wanted to hold one, put it deep inside my bag so that, no one can take it from me....I not a maniac but just look how adorable they are! They finally came to India but I was confused - what are the shades? And why do they look so different? Maybelline started advertising these everywhere but it was nowhere to be found. On top of it, even the SAs had no idea what they were. So, after LOT of wait they arrived in India. But they were different...very different.....very disappointingly different. I used the Mango Pie one but was not much impressed. When other bloggers were deep in its love, I was trying to find what to love. I was loving the smell. But the promise of great lip in seven days was not looking strong. I tried to skip lipstick for an entire week which is super tough for me in case you are wondering and use Maybelline Baby Lips Mango Pie for an entire week, reapplying whenever I could. I was not seeing any difference in my lips. The texture is smooth but it just seemed to be on my lips protecting it. It didn't repair them. Not that I started with bad lips but I do expect it to repair the seldom dry skins that I get in harsh AC environment but it didn't. It was just a simple balm which only protects - nothing additional. I was this close in ordering another Brut's Bee Lip Balm but then I thought why not try the ones sold in the US? I got the peppermint one. 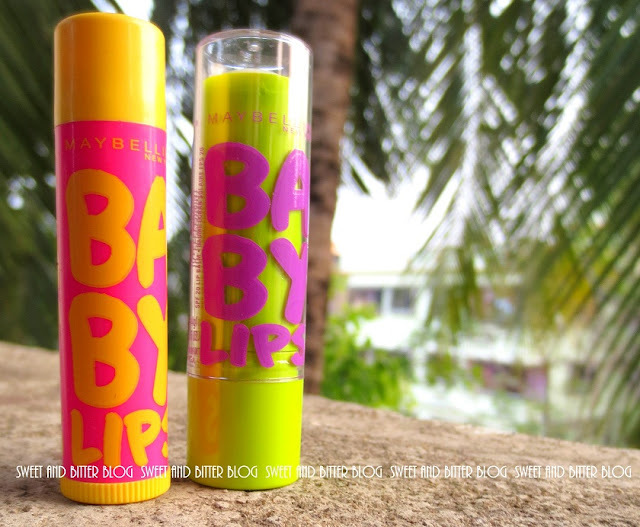 This is the one I wanted all the time I was obsessed with Maybelline Baby Lips. Before I start, I must mention that I am not aware in which country which one sold. As far as I know the ones in India are sold everywhere in Asia and also in Australia I guess. The rest of the world gets the ones sold in US. So, I will regard them as Asian and Non-Asian. 1. Packaging - The Non-Asian one is wayyyyy cuter. The Baby Lips is written the transparent cap. I was sure it will break. So, I put both of them in my bag. Last week they both spent their time rolling inside my bag and I cannot see any harm done. The cuter one gets one point. 2. Claims - Both have similar claims. But nothing extraordinary is written on the package. In reality, none of them stays for 8 hours for sure. Also, the Non-Asian one protects, repairs and rejuvenates but the other one does only protects. The cuter one gets another point for repairing nature. 3. Ingredient List - Both have similar ingredients. There are slight deviations which primarily is because of the comparison between the colored and care range. I seriously do not wish to get another Mango Pie..sorry. What my concern here is - if both have such similar ingredients then, why does the texture is different? Whom should I give points in this case? 4. Texture - The most important part of a lip balm. Here, they differ 100%. Both are light and non-waxy but Asian one is creamier - something like Avon, Lipice, Lotus...fill me in because nothing is coming to me at this moment. Its just sits on my lips unnaturally like a gloss while I wait it to be absorbed by my lips like a balm. The Non-Asia one is more like Nivea....ahh good example as most have used it. A little spread on your lips without making it greasy or oily as it has a lighter texture. 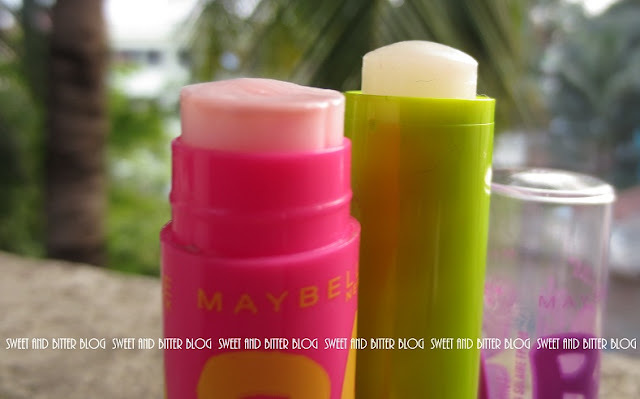 This one is instantly absorbed and moisturizes your lips. Also, I can see the Mango Pie melting in my bag in summer. The peppermint is stronger in the bullet. Overall - I loved the Non-Asian one for all the points that the Asian one failed. Its cuter, rejuvenates repairs, a little is required, better texture to withstand summer and.....cuter! The ONLY point it failed is it is not available in India. So, yes it failed in the price section but then they are giving quality products. Is this the reason for the difference in quality? The need to keep a very low price so, that they could have sold more? Hey .. thanks for the comparison! I didnt know there was so much difference between the 2. 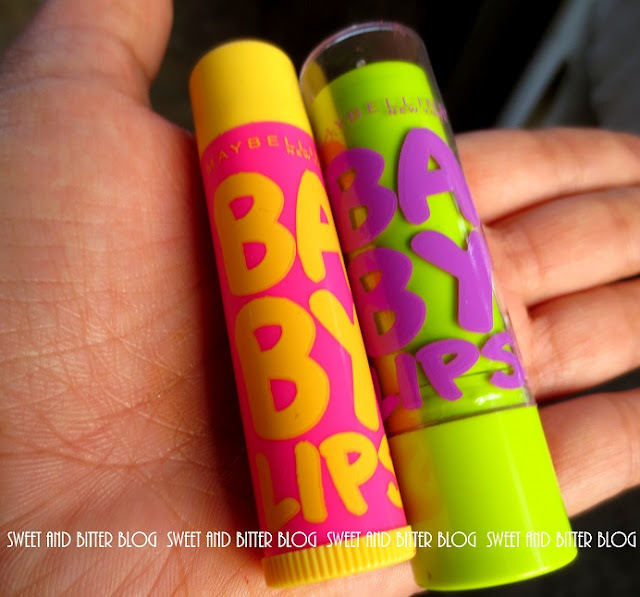 After reading the reviews of Baby Lips at other blogs, I was planning to buy Baby Lips from India. But after reading your review, I think I will order the international one from some online website. Thanks Rosh for liking this post. I am going to compare another band and product this way soon. - I cudnt agree more. I hav been a MNY addict since age 15, while abroad. And when I moved back to India and gladly tried the mny stuff here(oh, india's definitely missing on so so so many mny stuff & late entries! :( ) I cud bang-on see & Feel d diffrnce. D packaging, texture, name, everything..in a bad way(except d Colossal mascara but der r way bettr masacaras in mny range to compete it). If there was no customs and shipping then even I might have ordered everything from of MNY from US. The quality is very different for both. I hope they listen and bring in some here. Even the gel liner is different? I was thinking of waiting for the brown or other colors to wait but I guess I will ship them from US. I think after listening from Fahee and you, I have to buy only the US ones from now on! At first I was too intrigued by the Non-Asian Packaging and was secretly hoping the packaging would be the same in India. And the difference between the texture gets me rolling, who likes 'sit on my lips' kind of balms? Yes! I thought I will be content with only this....(what was I thinking? )..even I want more from the Non-Asian one. I tried one of them and it didn't hydrate my lips in any way. I felt it made them even drier when I removed it. Within 5 days my lips started paining soooo much I immediately went and bought my good old lipbalm. They are waxy and so not worth buying. No, not at all. Didn't know there was such a big difference between the two.. I really want the non-Asian one now! I was trying so hard to like the Asian one, so very hard. And now I realize it is as bad it seems. Thank you for opening our eyes! 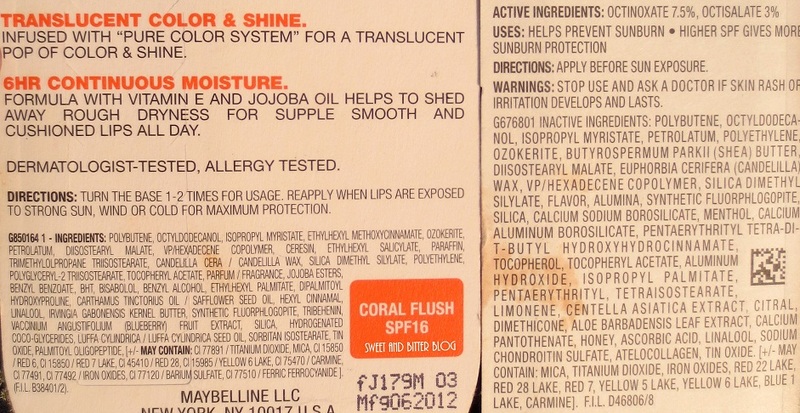 Not just Maybelline, this quality difference is there even in Dove, Pantene, Olay, Revlon etc. The quality of the USA ones is far far better than the ones available here. Not just that, even diaper quality is so different. In India, the Pampers u get at the chemist is the worst!!! The ones available at the imported good stores is better (made in Tukey mostly) but nothing like the USA ones which are fab! My bro kept sending diapers for my boys from there. Really wonder why the texture differ!!! :O They shd hav make it the same way. Does the non asian one repair??? Hey awesome review! Baby lips has this facebook 'KISS' campaign going on which actually made me think that I should at least now buy this product. Even though its Summer in India, my lips always feel dry. 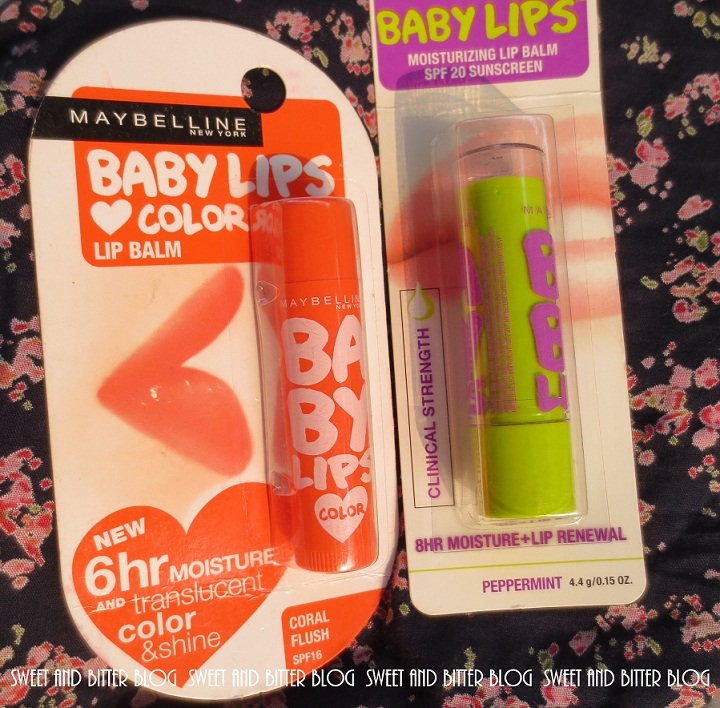 I checked the website http://maybelline.co.in/products/lips/lip_balm/baby_lips_balm.html.. but I still can't figure out which shades would be the best. I like color so maybe something that shows on my lips. Any suggestions? Do you want to buy BABY lips only? None of them give any good color to Indian Lips. 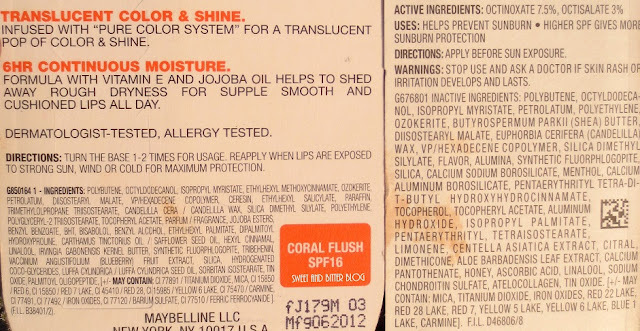 I will suggest you try Maybelline Bloom. They are two shade - try the peach for lighter skin tones and pink one for darker. Finally !! I have been reading so many reviews about Maybelline Baby lips on various beauty sites. I noticed this too. The packaging being different! and I was also very disappointed/ I even tried contacting Maybelline through their site asking them this question but couldn't get through! Thank you for putting up this post. Is there any way we can purchase the ones sold in US(Non-Asian) in India? I have never found the US ones being sold in India. I've been wondering the same thing about the difference. I got the Indian one but am not very impressed. Where did you get the US one from? I knew there's something different! 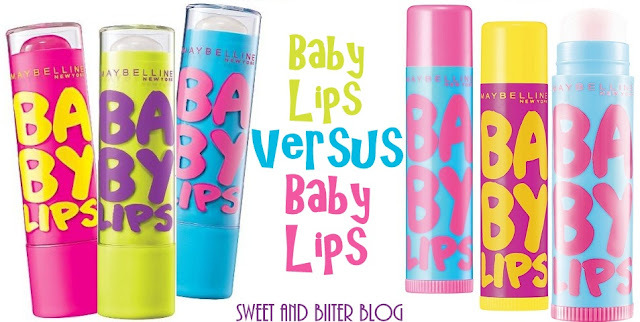 Ivwas just googling Baby Lips so I know what to buy at the mall next time but saw there were two versions. I think the Asian one lacks color when applied and the non-Asian has more flavors (I think). Ah how could they be so unfair to us lol. Thanks for the info anyway. Guess I'll stick with Nivea for now. Where did u get the non-asian one..? ?